I can't wait for dinner leftovers for lunch. 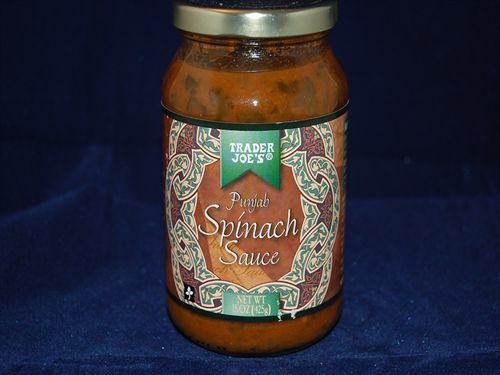 Yesterday I used the Trader Joe's Punjab Spinach Sauce, added a block of extra-firm tofu (cut up into small blocks) and served it over Basmati rice. It's a tomato based sauce with spinach (obviously). I have never seen this sauce in TJs! Your meal sounds delicious. I will have to re-create it. That sounds delicious. I may need to recreate it too!